Gucci Mane hasn't been shy about vocalizing about his opinion of author Malcolm Gladwell, often singing the best-selling wordsmith's praises on Twitter. Monday night (Sept. 11), the Atlanta legend finally got to meet his favorite author, with the two sitting down for an in-depth conversation at the YouTube Space in NYC. Gladwell, who is renowned for each of the five books he's penned to date, interviewed Guwop for the special occasion, with the conversation focusing on the rapper's first foray into becoming an author himself. Gucci's first book, The Autobiography of Gucci Mane, is set to hit shelves on September 19, 2017. During the conversation, Gucci reveals that he looked toward Gladwell for inspiration while writing his memoir from behind bars. "When I was first coming up and it was like me, T.I., Yo Gotti, Young Jeezy, Lil Wayne, 2 Chainz, Juvenile and I would hear all that and be like let's go record," Gucci shared with the author, when asked about the artists that inspire him. "But when I listen to music now, it doesn't make me want to record. But when I go listen to something like the old 50 Cent Get Rich or Die Tryin album, it makes me want to record. It puts me in that place where I was before." Following their conversation, both authors took to social media to hint at a future collaboration. Let's hope this manifests itself, just like the pair meeting in person for the first time did. 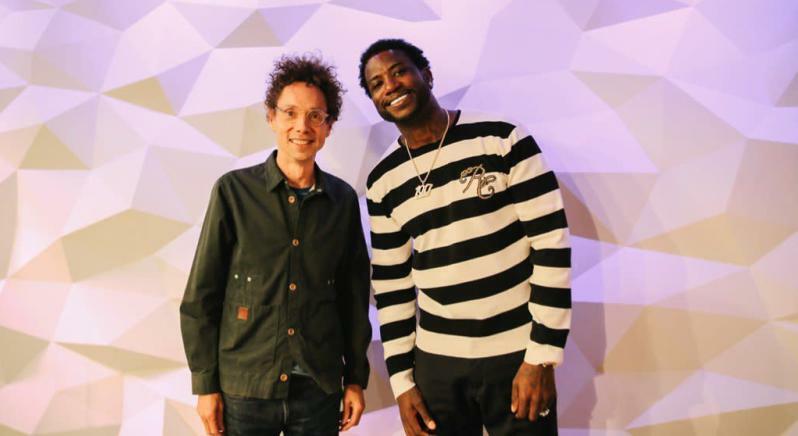 Take a look at Malcolm Gladwell and Gucci Mane speaking highly of their first time meeting in the tweets below. Steven Malcolm delivers his latest visual for "The Second City"